Most schools will soon be going on holiday. These 8 (and some extra) tools, are a few picks that schools can use to make preparing for vacations less tedious than they usually are. Some of them can even be used for making the holiday more fun and interactive for the school and the students. There’s something here for teachers, school admin, students and even stuff that parents might find interesting so just keep reading. 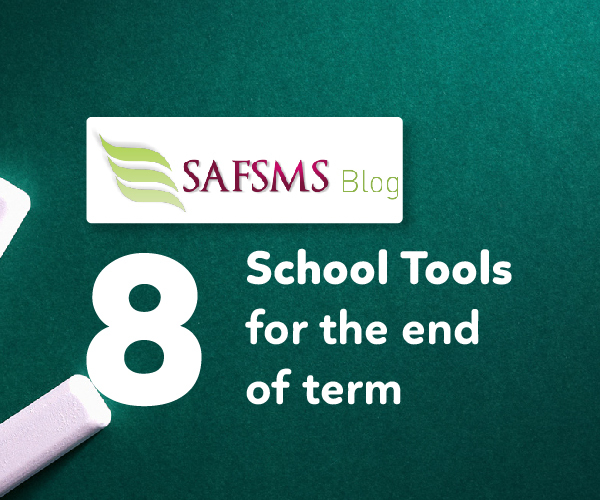 These End of term school tools are for sharing assignments, collaborating on projects, communicating with parents and much more. Another cool thing you can do with Dropbox is sharing photos and videos too. Instead of emailing photos to every parent or trying to send them hard copies, You can easily upload albums for, say, the end of year party and email the link to everyone who may want to download them. When school is in session, you can upload albums, class photos, excursions and the likes. Google drive is also great for sharing and collaborating on word documents, power point presentations and the likes. Students can use it to work on group holiday assignments and of course, teachers can review and add comments to the work as they go along. Another must have. It’s a great way to keep students and parents informed as to what is happening in your school both during and after the holiday (resumption dates, result collection etc.). By adding parents emails to the calendar, you don’t have to worry about sending out notifications because Google will do it for you. You can even link your calendar of events to school website so that visitors can be aware of important dates as well and can choose to be notifies about them. During the holiday, there are many ways to use social media to keep in touch with studnets and parents. For example, you can organise a challenge/contest where students can tag your school account in their holiday photos, and you can re-post. The best or most creative one wins. 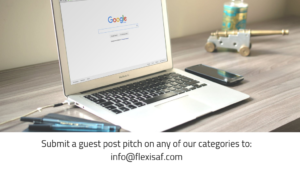 It will be great for not only keeping students engaged during the holiday but also for attracting new prospects who might be using the holiday period to search for a new school. Teachers can also meet up with other educators on Instagram or Twitter during the holidays and grow their professional network. These 2 different tools serve a similar purpose – They are great for collecting feedback. At the end of every term or school year, it’s a great time to get valuable feedback from students, parents and even other staff. Google forms and survey monkey are 2 very easy to use tools that can help you do that. Another slightly overlooked function is that both tools have multiple choice question capabilities and can be used to make multiple choice quizzes or assignments that students can take and submit online. These tools are very easy to use. One of the most stressful things about going on Holidays is the deadlines. For teachers it means scripts have to be marked, results compiled, lesson notes for the term concluded and submitted. SAFSMS helps schools vacate stress free. 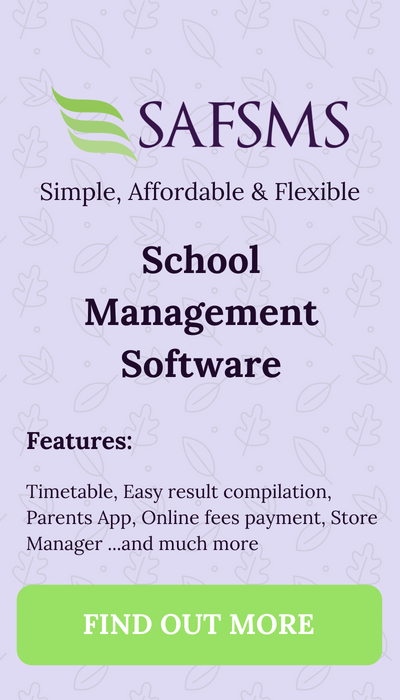 In addition to all of those features, it can help school admin and teachers in evaluate student results for the term in batches and evaluating and planning finances. It also helps the issue of communicating with parents during the holiday. Since all of parents’ info is already on the system, they can be notified of important dates via SMS, email or in-app notifications. Just ask parents to download the app on Google Play or log in to their Parents dashboard. This one came as an afterthought. But you remember all those “How I spent my Christmas holiday?” essays students always have to write? You could step it up a notch and ask the students to make a presentation using power-point and other easy to use presentation creators. They can present it to the class when they resume or share it in the class dropbox folder. This is a way of making the same old assignment a little more interesting. Powerpoint can be installed on PCs and tablets. Teachers and students can also explore other presentation and story telling tools – they are numerous out there! All these tools are very easy to use and they are free. They will not only reduce the flood of paper work you have to deal with after the holiday, but they will also make for a seamless experience. In fact, you will wonder why you have been doing things any other way in the past! Perhaps one of the most important benefits of using these tools and keeping the students involved is that they will be more engaged with school, even during the holidays and you are encouraging them to become more tech savvy – same can be said for the teachers as well.